Just Say It has been recognised as a pioneering approach to addressing the needs of Young People and listening to their concerns and we will be building on this moving forwards with more events and discussions happening. 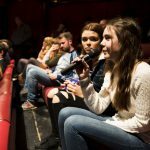 On 26 March, young people aged 14-21 from across Bath & North East Somerset and Wiltshire gathered at The Egg Theatre for Just Say It. 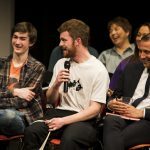 This event was part of DHI’s Vision Project – a series of events, podcasts and articles marking the charity’s 20th anniversary, exploring how to end social exclusion. 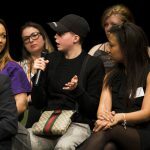 The event provided a platform for young people to share their thoughts and ideas –because DHI believes that in order to respond to the biggest challenges of tomorrow, it is vital to hear the voices of young people today. Please take a few minutes to have a look at the link below as it will give you a feel of the event. BBWA is pleased to be supporting this initiative.